In this post I will introduce a proof-of-concept of AsYouTypeFormatter for Smart Office. AsYouTypeFormatter is used to “format phone numbers on-the-fly when users enter each digit.” It’s part of the open source library libphonenumber, “Google’s phone number handling library, powering Android and more.” This post complements my previous post where I discussed International phone number parsing, validation and formatting for Smart Office. In addition to parsing, validation, and formatting, libphonenumber has a nice AsYouTypeFormatter that formats the phone number as the user types it. But according to this thread, AsYouTypeFormatter doesn’t support the backspace key, nor emptying the field, nor replacing a selection, nor inserting text somewhere in the middle. The solution is to handle all the cases ourselves in code. 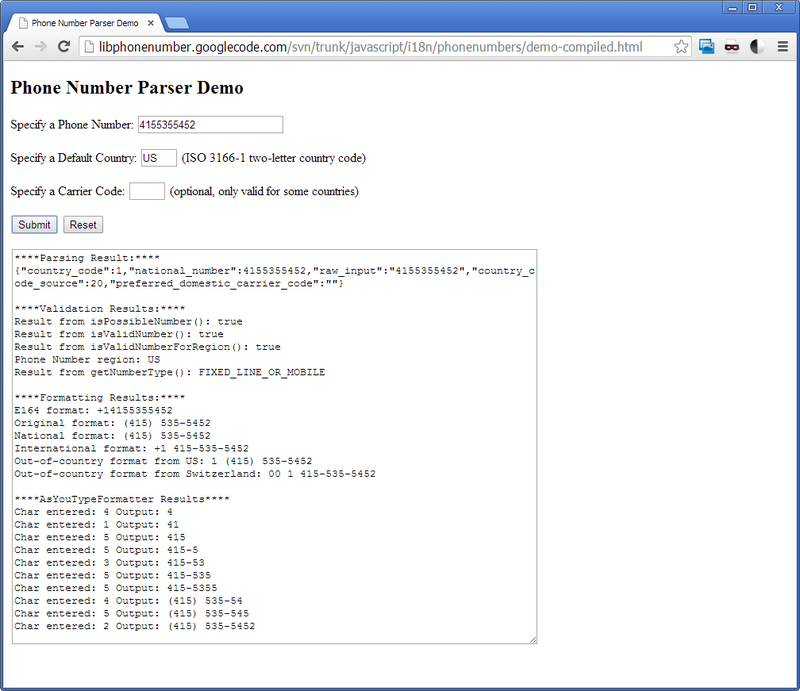 All these are already implemented in android.telephony.PhoneNumberFormattingTextWatcher. There is a partial port of Android to C# in XobotOS, “a Xamarin research project that explored porting Android 4.0 from Java/Dalvik to C#”. So to properly implement AsYouTypeFormatter in Smart Office we would need to combine libphonenumber-csharp and XobotOS. That’s it! That was my proof-of-concept demo of AsYouTypeFormatter for Smart Office to format phone numbers in M3 Programs as the user is typing the digits.